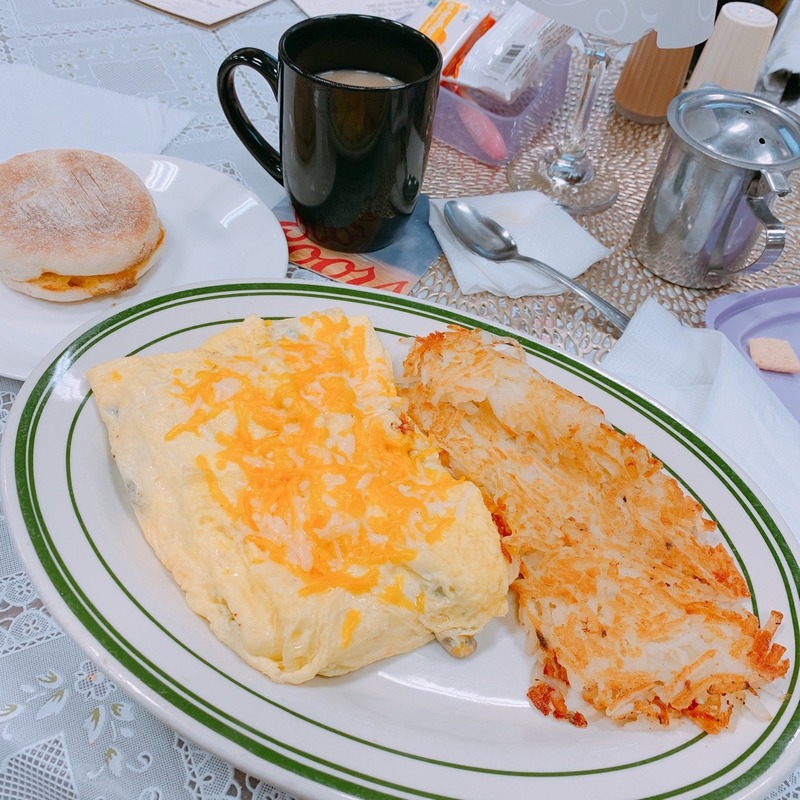 The omelette was called “Garbage Omelette”. 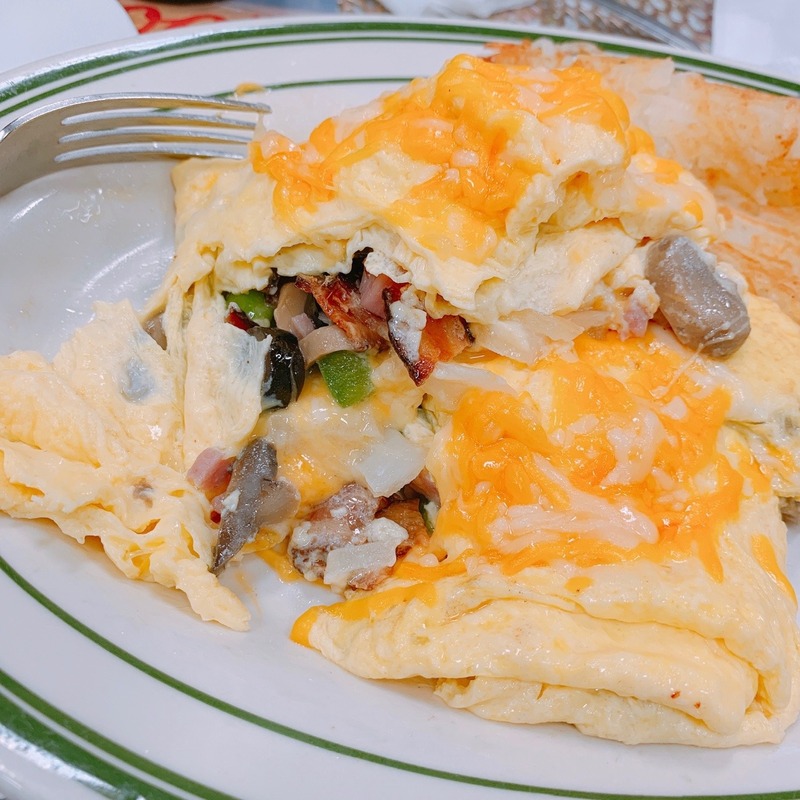 A garbage omelet is a type of omelette which has all kinds of veggies and stuff in it. What a unique name!